Are you in the United Kingdom, pregnant, and intending to deliver your baby on the NHS? Although the National Health Service has a pretty grim reputation, pregnant women have many options available to them in choosing where and how to deliver, providing they are experiencing a low-risk pregnancy. You can give birth in hospital, at a birth center, in specialized midwifery units or at home. Hospitals are still the most popular birth locations for English women to give birth at. Low-risk patients are cared for by midwives at NHS maternity units, but obstetricians will also be around all the time in case the labor and delivery turns out to be more complicated than expected. 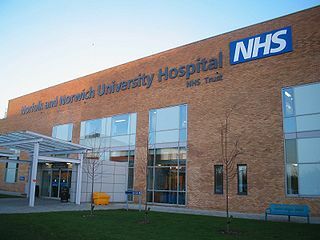 In NHS hospitals, special care baby units are available if need be. Although less invasive pain relief methods for labor, like gas and air, are very popular in the UK, anesthesiologists and epidurals are also around for those who want them. Many women choose to head home very soon after giving birth, something that is accepted in the UK as long as everything is OK.
How about birth centers and midwifery units? NHS birth centers and midwifery units aim to provide a more comfortable and home-like environment for women who had healthy pregnancies without special medical concerns. Like in the United States, a birth center can be inside hospital grounds (and not uncommon at smaller community hospitals), or can be completely separate. Midwifery units offer one-on-one care, perhaps with the same midwife that did your prenatal care, but transfer to a hospital will be needed if any emergencies crop up. More medical pain relief, like epidural anesthesia, will not be available in these units. According to the National Health Service, around one in 50 babies are delivered at home in the United Kingdom. If you choose this, a midwife will come to your house when you call them. You will need to discuss the timing for that call in advance usually when your contractions come four minutes apart. Although any UK woman who has a low-risk pregnancy has the right to give birth at home, in some communities you may be discouraged due to staff shortages. Private midwives are also available, but giving birth at home on the NHS is more appealing financially.